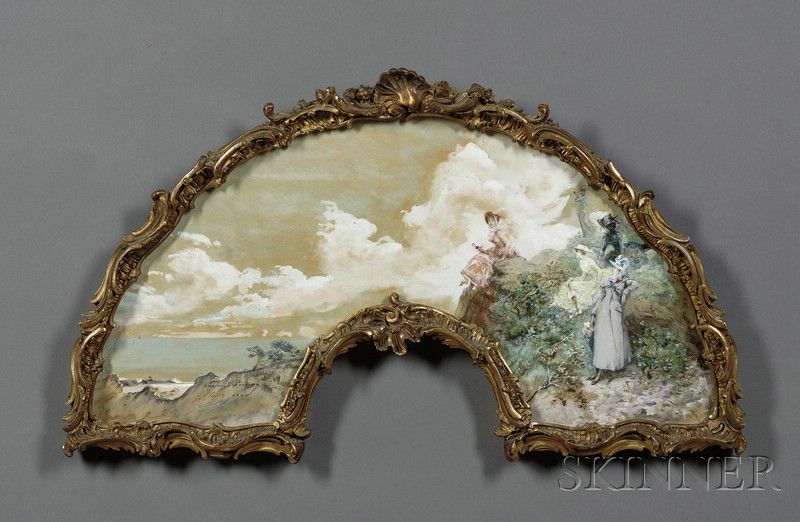 Georges Clairin (French, 1843-1919) Fan Design Depicting Fashionable Ladies by Seaside Cliffs. 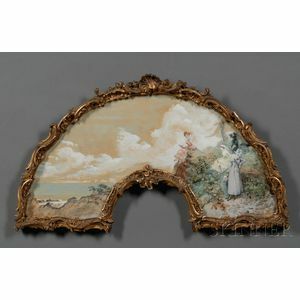 Fan Design Depicting Fashionable Ladies by Seaside Cliffs. Signed, inscribed and dated 1889. 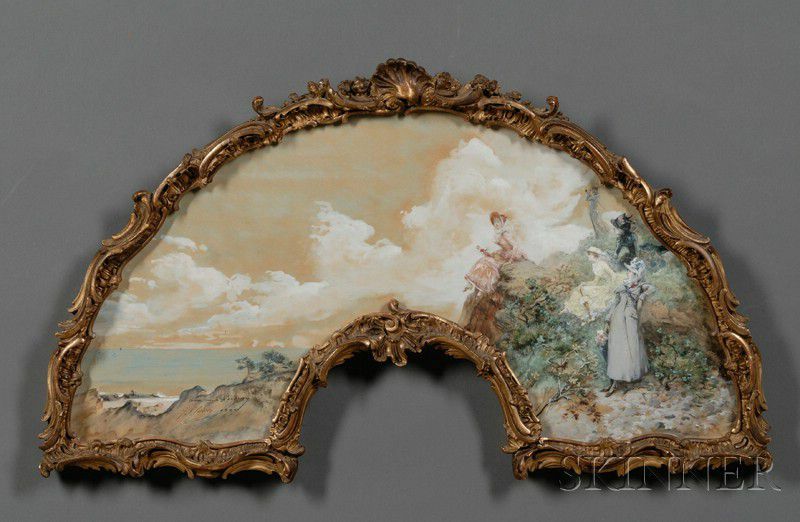 Watercolor on paper, 14 1/2 x 25 in., arched format, framed.